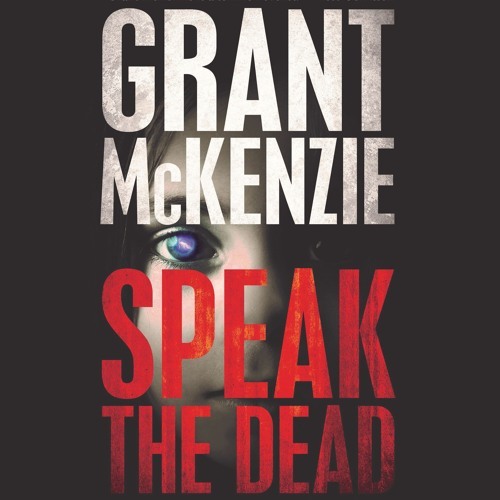 Speak The Dead by Grant McKenzie on Audible: http://www.audible.com/pd?asin=B01312BYEE&source_code=AUDORWS0731159EG2 Get this audiobook for free when you try Audible: http://www.audible.com/offers/30free?asin=B01312BYEE&source_code=AUDORWS0731159EG2 Summary: When Sally Blue was six years old, sleeping peacefully in her bed, a gunshot woke her up and subsequently ripped her world apart. Jolted awake by the scary noise, Sally ran to her parents' bedroom for comfort. Instead she found her mother slumped against the headboard, her ravaged nightdress drenched from a double-barreled wound. Climbing on the bed, Sally cradled her mother's head against her tiny chest - mindless of the blood and the cloying stench of death. There was no sign of her father, and Sally was too frightened to call out, when a voice from deep within her dead mother's throat screamed: "Run, Sally! Run!" Twenty-five years later, Sally has finally stopped running. She finds peace among the dead as a mortician's beautician. And on the night of a strange murder that reawakens a special gift within her, she actually meets an interesting man: Jersey Castle, homicide detective by day, punk rock drummer by night. But what Sally doesn't know is that someone has been hunting for her all this time. And now that she's passed his test of blood, he will stop at nothing to bring her home again.